Tinker Gryphon creates modules for various RPGs, available for purchase exclusively at Dungeon Master’s Guild. 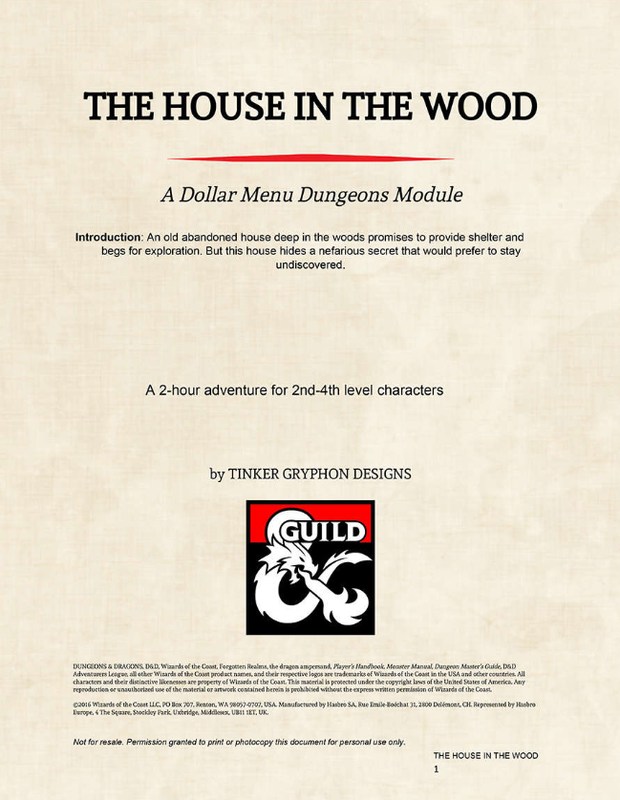 This includes “Dollar Menu Dungeons,” a project aimed at providing affordable drop-in content for a busy DM at a moment’s notice. They’re designed to be flexible, fitting in to your game where and when you need them. An old abandoned house deep in the woods promises to provide shelter from a coming storm and begs for exploration. But this house hides a nefarious secret that would prefer to stay undiscovered.